library, is learning something about us. you are wondering what 'dime entertainment' and maple sugar parties are? Well, what better place to research and read about them, than our library? 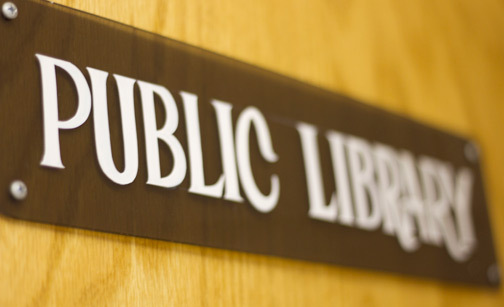 library's annual budget surpassing $80,000. 2,100 square feet, located in the Whitehall City Center on Park Street. janitor. Mrs. O. Rogan became the second director from 1904 to 1908. Our current director is Amanda Hegge, who started in April of 2012. Amanda earned her Master's degree in Library and Information Studies at the University of Oklahoma with an emphasis in public libraries and archives. Prior to becoming the director of the Whitehall Public Library, Amanda worked at the Western History Collections at the University of Oklahoma and for a private rare book collector in the Oklahoma City metro-area.